As every year now for the past 4 years, ThinkGeoEnergy is the first to post pictures of the GEA Geothermal Energy Expo 2012 that is opening in a few minutes here in Reno, Nevada, with the Opening Reception jointly hosted by the GRC and GEA. Today, members of the Iceland Geothermal Cluster will be promoting the 2013 edition of the Iceland Geothermal Conference at GRC (Geothermal Resources Council)’s 36th Annual Meeting, held in Reno, Nevada, U.S.
Rósbjörg Jónsdóttir, organiser for the Iceland Geothermal Conference, will be in attendance at GRC’s 36th Annual Meeting, held between 30th September until 3rd October, in order to help promote and raise awareness for the energy conference. As part of the Annual Meeting, Jónsdóttir and her team will be helping to gather sponsors and key-persons within the energy industry in order to inform them on the energy possibilities which Iceland holds, as well as the research, exploration, and development opportunities. Look at a map of U.S. subsurface temperature data and few places are as red (hotter than 250 degrees Celsius) and large (10,000-plus square miles) as Idaho's Snake River Plain. Those two characteristics are why university students across the country are studying the volcanic plain and its potential to generate geothermal energy as part of a national competition sponsored by the U.S. Department of Energy. "The Snake River Plain is along the Yellowstone hot spot and is an ideal location to study for its geothermal energy potential," said Robert Podgorney, a geothermal researcher at Idaho National Laboratory. "The area is renowned for its geothermal activity and high subsurface temperatures." Eight university teams made the finals in the department's National Geothermal Student Competition, including three from Idaho. All three Idaho public research universities — Boise State University, Idaho State University and University of Idaho — have teams in the finals. The winner of the U.S. Department of Energy's Student Geothermal Competition will be announced during the 36th Geothermal Resources Council Annual Meeting Sept. 30 to Oct. 3 in Reno, Nev.
Gov. Mitt Romney recently announced that, if elected, he would let the renewable-energy tax credit for wind energy expire at the end of the year. This was bad news for the tens of thousands of Americans employed making wind turbines, towers and parts, but also for Nevadans because it signaled that Romney will likely also let the tax credit for geothermal energy expire at the end of 2013. 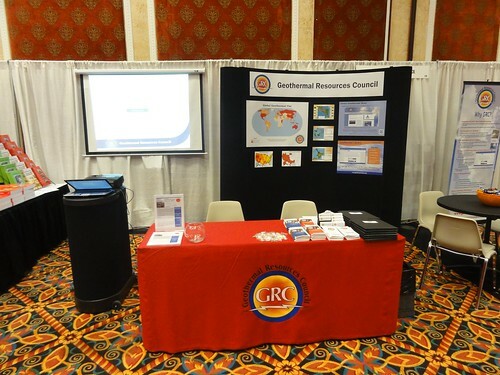 Today, Reno is hosting the 36th Annual Meeting of the Geothermal Resources Council and the Geothermal Energy Expo. This meeting and exhibition brings together experts to discuss the latest research in geothermal exploration, development and utilization. I hope every attendee considers the risk to the geothermal industry if Gov. 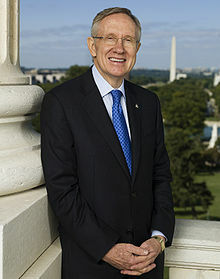 Romney’s position were enacted. Over 90 attendees set out on field trips this morning, departing the site of the GRC Annual Meeting at the Peppermill in Reno. The tours visited the ENEL Stillwater Geothermal/Solar Power Plant and Alterra Power Corp. Geothermal Power Plant Tour with a Stop at the "Top Gun" Naval Air Station. There was also a trip to gain an overview of Structural Controls on Geothermal Activity in The Western Great Basin and a guided tour of Ormat's Steamboat Geothermal Plant Complex south of Reno. A visit to ElectraTherm's factory in Reno viewed the process behind the development of the "Green Machine". Iceland is pioneering a program that will bring clean renewable energy to millions of people in Africa, the country's Foreign Affairs Minister told the UN General Assembly on Saturday. Össur Skarphéðinsson said the Nordic nation will work with the World Bank to assist 13 countries in East Africa to harness their geothermal energy resources. Keep up to date with the 36th GRC Annual Meeting with daily postings of photos at GRC 2012 collection on Flicker. Bill Livesay speaking to attendees at the Drilling Workshop being held at the Peppermill Resort Spa. The 2012 GRC Annual Meeting starts officially on Sunday. Attendees wind down at a reception after a day at the GRC pre-meeting workshops. The two-day workshops wrap up Saturday. Geothermal energy is considered cost-effective and there is growing support for its use in our society. What are the pros and cons of using geothermal energy? All is quiet at the surface of the Newberry Volcano. The last eruption took place here more 1300 years ago. But beneath the surface, there's a lot going on. And, while there's plenty of heat, there's not a lot of water down there -- a component necessary for geothermal energy production. Backers of an experimental geothermal project in Central Oregon say they're ready to begin the next phase of a plan to create a more cost-effective way of turning underground heat into electricity. Next month, Newberry Geothermal hopes to solve that problem. The Annual Meeting of the Geothermal Resources Council (GRC) will officially open Sunday, September 30 at the Peppermill Resort Spa in Reno, Nevada, USA. The prestigious event this year celebrates Geothermal: Reliable, Renewable, Global. The event will last through October 3. Now in its 36th year, the GRC Annual Meeting was created for the leading voices and minds of the geothermal industry from every corner of the globe. The meeting is designed to encourage networking, business and educational opportunities for all attendees through an interesting and entertaining event. Panax Geothermal is reviewing draft term sheets for financing its Indonesian geothermal projects, which are close to having their Power Purchase Agreements finalized. A Chinese conglomerate that can provide the required equity and project finance requirements as well as substantial technical and development experience. The After Dark at the Park event at the Hawaii Volcanoes National Park always draw a crowd, but this past Tuesday’s talk was different. It seems logical that if underground magma can start an eruption by forcing its way to the surface, one might also start an eruption by opening a conduit from the surface to the magma. While plausible, that doesn’t seem to be what happens. Magma has either been drilled into—or risen to enter—a drill hole four times, according to the scientific literature. Of the four incidents, three occurred in Iceland and one in Hawai`i with one of the Icelandic examples producing a brief spattering of lava. In all of the examples, the wells were not destroyed and continued to be used for their original purpose afterward. Olkaria II Power Station is Africa’s largest geothermal power station. It generates 70MWe and is the second geothermal plant owned and operated by Kenya Electricity Generating Company. The second phase of Olkaria II was commissioned in 2010 injecting an extra 35MWe of power, making a total of 150MWe of power produced through geothermal means. On Thursday last week, KenGen shareholders visited the plant in Naivasha and were impressed by, among other things, the medicinal water that allegedly cures skin diseases at the Geothermal Health Spa. Olkaria II is efficient in steam utilisation. The wells were drilled between 1986 and 1993. In February, Well 37 A was established by Green Energy Group of India and it produces 4.2 MWe. It is still at the testing phase. It is experimental and the first of its kind in Africa. HS Orka and Iceland Drilling have signed a contract for the drilling of two geothermal wells and possibly a third one on the Reykjanes peninsula. The agreement was signed after HS Orka had received two offers from Iceland Drilling (Jarðboranir) and Geodrilling Iceland (Borfélag Íslands). Both offers were economic for HS Orka. Drilling these two wells is to secure the current operation of the Reykjanes geothermal power plant with additional back up capacity as well as prepare for an increase in capacity of the plant. Iceland Drilling is now planning to move its largest Bentec drilling rig from Denmark to Iceland. The drilling now is going to be a special case, as it will be drilled with power from the power plant instead of traditional diesel powered machine. The rig is expected to arrive within a month and drilling is expected to start around mid-November 2012. Preliminary results show that near-surface temperature gradients in the basin vary from about 33⁰F/1000 feet to 55⁰F/1000 feet. This implies temperatures of 300 to 500⁰F at 10,000 to 13,000 feet depth beneath the basin. Given the large area of this basin, the power potential is conservatively estimated to be hundreds of megawatts, and preliminary economic modeling suggests a cost of electricity of about 10c per kilowatt-hour over the life of a geothermal power project. This basin is especially attractive for geothermal development because of the existing nearby infrastructure ─ it is next to a large coal-fired power plant, a 300 MWe wind farm, and a major electrical transmission line to California. The project findings are being presented on Monday, October 1, at the annual meeting of the Geothermal Resources Council in Reno, Nevada. To kickoff October as National Stamp Collecting month, the U.S. Postal Service™ will issue the Earthscapes Forever® stamps on October 1, 2012, at NASA’s Goddard Space Flight Center near Washington, DC. Included in the 15 stamp set is one of Grand Prismatic Spring in Yellowstone National Park. The U.K. government plans to spur use of Britain’s green technology and financial expertise for geothermal and wind power projects in Ethiopia, Kenya and Tanzania by tapping billions of pounds of state funds. Energy and Climate Change Minister Greg Barker said he will head a trade delegation, including 30 executives from 19 U.K. companies, to the East African countries from Oct. 1 to 5. The markets have the potential to develop more than 15,000 megawatts of geothermal power, as well as wind and hydropower, he said. exploration well at Pavant Butte was abandoned. Scientists at the Utah Geological Survey say they have found a massive new source of potential geothermal power in Utah’s west desert. It is a new type of resource, they say, much deeper than the geothermal industry now uses. But it still should be exploitable. Over the past two years, crews drilled nine wells in Utah’s Black Rock Desert basin south of Delta to test out a theory that high temperatures might exist deep beneath the surface that would be hot enough to turn water into steam that could then be used to generate electricity. They hit pay dirt. "There is definitely something there, and it is big," said Rick Allis, director of the Utah Geological Survey. Kenya's main electricity producer, KenGen, has invited parties to submit bids for the development of 560 MW geothermal power plants, the company said on Thursday. The company said it planned to develop the power plants in phases of 140 MWe each at Olkaria within the east African nation's Rift Valley under a joint venture arrangement in which successful bidders would build, and later transfer, the facilities back to the firm after 10 to 20 years. "The successful bidder or consortium would be the majority shareholder," KenGen said in a call for the bids in the Kenyan newspaper, the Daily Nation. University of Nevada, Reno researchers and students will present their research at the 36th Geothermal Resources Council Annual Meeting Sept. 30 through Oct. 3 at the Peppermill Resort Spa Casino. "The meeting is the annual gathering of top geothermal professionals," Wendy Calvin, director of the Great Basin Center for Geothermal Energy, said. "It's a way for all geothermal professionals, including our own University experts, to share new developments, projects and research information with everyone in the industry." The Surprise Valley Fault, a stretch of land that snakes along the Warner Mountain Range in northeastern California, is pocked with small surface scars and billows steam from hot springs, which makes it an ideal location to study underground seismic activity. In the past, data collection was limited to ground surveys performed by foot and four-wheel all-terrain vehicles. This year, data collection of this treacherous terrain was enhanced by employing an unmanned aircraft system (UAS), called the Sensor Integrated Environmental Remote Research Aircraft (SIERRA), managed and operated by NASA's Ames Research Center at Moffett Field, California. Nevada Geothermal Power Inc. (NGP), the renewable-energy developer that received a U.S. loan guarantee, may transfer ownership of a Nevada power plant to a lender after projecting the facility will produce less power than expected. Output at the company’s Blue Mountain geothermal field is projected to fall below 34 MWe this year and will decline to about 15 MWe by 2020, Vancouver-based Nevada Geothermal said today in a statement. 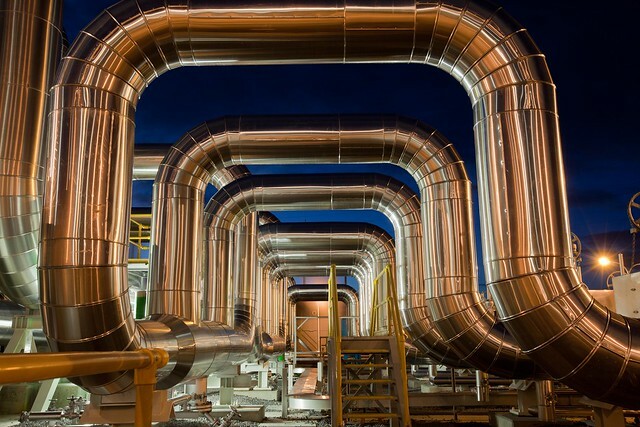 The declining capacity will reduce revenue from the plant and make it difficult, if not impossible, for the company to repay a mezzanine loan from EIG Global Energy Partners LLC, according to Andrew Studley, Nevada Geothermal’s chief financial officer. The 33rd Amateur Photo Contest winners will be on display at the GRC Annual Meeting in Reno, Nevada. Ofsoski of Rotorua, New Zealand. 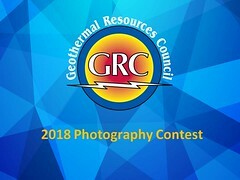 The Geothermal Resources Council (GRC) is pleased to announce the winners of this year's Amateur Photo Contest. The purpose of the contest is to showcase quality photography featuring geothermal energy around the world. This year's contest featured a tie for first place of two photos from the same person! 1st Place (Tie): Steam Pipe-work, by Alan Ofsoski of Rotorua, New Zealand. 1st Place (Tie): Steam Separators at Night, also by Alan Ofsoski of Rotorua, New Zealand. 2nd Place: Iron Stained Boiling Spring at Borateras Geothermal Area, Peru, by Joe LaFleur of Springfieid, Oregon. 3rd Place: Beautiful Hot Waterfalls Of Guelma, Algeria, by Hichem Chenaker of Khenchela, Algeria. Honorable Mention: Geothermal Village Rotorura taken from Te Puia, by Duncan Foley of University Place, Washington State. Honorable Mention: Aftermath of an early winter storm on Tolhuaca, Chile, by Jim Stimac of Santa Rosa, California. Honorable Mention: Steam Plume at Tolhuaca, by Anna Colvin of Santa Rosa, California. The winners will be presented with prizes at the GRC Annual Member Meeting and Awards Luncheon, the climax to the GRC Annual Meeting being held at the Peppermill Resort Spa in Reno, Nevada, USA from September 30 –October 3. The theme for this year’s meeting is Geothermal: Reliable, Renewable, Global. This brochure is aimed at presenting the French expertise, public and private, at international level in the field of geothermal energy (district heating and electricity generation systems). It presents a summary of the French public policy framework, measures to support Research and Development, innovation and training and offers from private companies. The Indonesian government claims many investors from other countries are interesting in working on geothermal projects in the country after the publication of Energy and Mineral Resources Ministry Decree No. 22/2012 on feed-in tariff in geothermal. Secretary General Directorate of Renewable Energy and Energy Conservation (EBTKE) Djadjang Sukarna said positive responses are coming from the United States, Germany, and Turkey. The Ile-de-France region is seeking to power its heating networks with 50% of renewable sources, namely biomass and geothermal energy, in an attempt to improve its energy efficiency, French business daily Les Echos said today. At present, only 5% of the region's energy comes from renewable energy sources, whereas the objective set by the government is 23% by 2020. According to sector analysts cited by Les Echos, the greater Paris region has solid potential to develop geothermal power. We have the capacity to double the use of geothermal power in Ile-de-France, Gwenael Guyonvarch, regional director of environmental agency Ademe for Ile-de-France, said. Nevada Geothermal Power Inc. reports that an updated resource report describing a completely recalibrated numerical simulation model and outlook projection prepared by independent consultant GeothermEx Inc. for the Blue Mountain geothermal field predicts significantly lower power output, as compared to projections outlined in an October 2011 report, also prepared by GeothermEx. Base case projections assume the current configuration of production and injection wells operating at their current flow rates without further investment. Base case temperature declines are projected to be on the order of 8 degrees F/yr in the near-term rather than declines of around 3 degrees F/yr as projected in the 2011 GeothermEx report, and power output is projected to fall below the currently nominated average supply amount of 34 MW this year decreasing to about 15 MWe by 2020. The Bureau of Land Management (BLM), Carson City District-Stillwater Field Office, is seeking public comments on a preliminary Environmental Assessment (EA) for the Coyote Canyon South Geothermal Exploration Project proposed by TGP Dixie Development Company, LLC. The proposed geothermal exploration project is located in Dixie Valley, Churchill County, approximately 50 miles northeast of Fallon, Nevada. The public is invited to submit comments on the EA through close of business on October 24, 2012. Please send written comments to: Angelica Rose, Planning and Environmental Coordinator, Stillwater Field Office, 5565 Morgan Mill Road, Carson City, NV 89701. Comments may also be submitted via email atadrose@blm.gov and should include “Coyote Canyon South Geothermal Project” in the subject line. A recent report by NREL, "Geothermal Power and Interconnection: The Economics of Getting to the Market," (PDF) delves into the specialized world of geothermal transmission. Among other things, this report finds that from a transmission perspective, not all types of geothermal energy technologies are treated equally. Conventional hydrothermal technologies likely fit differently into the transmission framework than do emerging geothermal technologies such as enhanced geothermal systems (EGS), co-produced geothermal with oil and gas facilities and geopressured geothermal. Feed-in tariff (FIT) policies can be designed to address certain risks of geothermal power plant development, and specifics will be explored in the presentation. The guarantee of a stable revenue stream over the life of the generation plant lowers the risk that large investments in exploration and development will not yield an off-take agreement. The combination of a guaranteed purchase, a pre-determined payment price, and a standardized off-take agreement can relieve some of the cost, risk, and pressure associated with overall project development since the project does not need to compete for or negotiate a contract before final project costs are known. Overall, FIT policies can include risk-mitigating elements and can be tailored to support a few key financial risks of geothermal development (exploration risks were not included in detail). Government support for renewable energy is a subject of national debate. In particular, many are scrutinizing the Federal Production Tax Credit for wind energy -- absent legislative action, it expires in December. 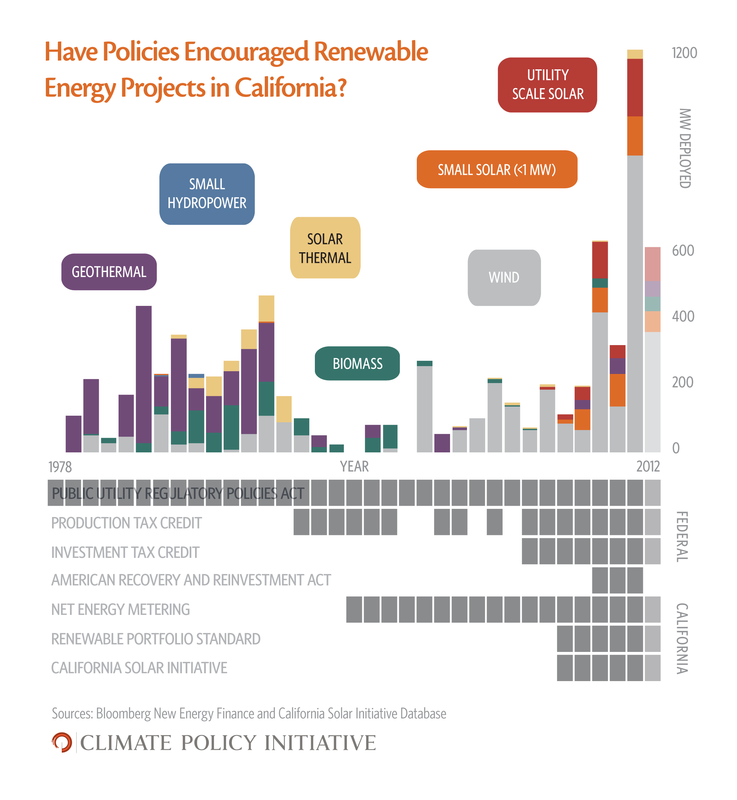 Policymakers across the political spectrum are asking questions like "has government support of renewable projects been effective?" and "should government support be continued or scrapped?" Investors in renewable energy are similarly interested in how policies can best provide stable support to help the industry mature. Padang, capital city of West Sumatera Province. Nearly a decade after government set the rules for geothermal energy, a developer on Friday undertook the first exploration drilling for the much-vaunted resource that could help power the nation. Supreme Energy Muara Laboh has started drilling at its working area in South Solok, West Sumatra. The activity is expected to take up to nine months to complete, and will be followed by the construction of a 220 megawatt geothermal power plant should the exploration be successful. The Quang Tri provincial People’s Committee has granted an investment licence for a project to build a 25 MWe geothermal power plant in Dakrong district. The VND 974 billion (US$46.3 million) project aims to promote exploration for new sources of energy in the near future. It is invested by SVA Financial Group. Ta Huong, Deputy Chairman of the Vietnam Thermal Association, said Vietnam has the potential for developing geothermal power in almost all provinces and cities nationwide, especially in Phu Tho, Quang Binh and Quang Tri. The geothermal power plant, which is said to be environmentally friendly, can operate 24 hours a day without being affected by weather conditions. KUTh Energy Limited has received written notice from the Commonwealth Utilities Corporation (CUC) in Saipan that the Geothermal Gradient Well project which KUTh successfully bid for has been cancelled. The reason given being "specifications which have been revised". KUTh reports that cancellation notices have also been issued to other renewable energy projects that have passed through the request for proposal stage. There is considerable uncertainty in Saipan surrounding recent procurement arrangements and processes for a "25-year sole source power purchase agreement with a private company to construct additional diesel generation in Saipan. The effect of the diesel agreement will likely be to limit the governments' ability to contract with renewable energy producers as promised." ElectraTherm’s work in developing a heat-capture system at the Florida Canyon mine in Pershing County has led to a new product line for the Reno-based renewable energy company. ElectraTherm three years ago placed its signature Green Machine at the Florida Canyon mine to capture heat generated from a 230-degree geothermal well at the site that’s used for cyanide heap leaching. The work was the initial phase of a three-phase grant from the Department of Energy to produce a machine for deployment at geothermal sites as well as in the oil and natural gas industries. ElectraTherm has housed its Green Machine into a 20-foot shipping container that requires little on-site construction, and it also has built a modified heat exchanger that can be taken apart for cleaning to remove residue left behind by geothermal brine. One of the largest expenses in geothermal power systems is boring wells thousands of feet into the earth's crust. Now, several companies are looking at reusing existing and abandoned oil wells to serve as geothermal wells. Particularly in Texas, where there are more than half a million existing oil and gas wells, and underground temperatures and pressures are high enough to make geothermal energy extraction feasible, geothermal is getting a fresh look by a number of companies. Council Chairman Dominic Yagong introduced Bill 292 to limit geothermal drilling at the Puna Geothermal Venture to daytime hours, from 7 a.m.-7 p.m. The committee sent the bill to the full council with a positive recommendation. Puna Geothermal Venture Manager Mike Kaleikini said the plant has been operating within its noise limits. He testified against the bill, noting that even if drilling were halted at night, some of the equipment would have to stay running, generating noise even if nothing was being drilled. “To limit drilling to daytime hours only, the drilling process itself could be prolonged as much as two to three times longer,” he added. The U.S. Department of Energy Office of Energy Efficiency and Renewable Energy has announced the three finalists in the prestigious National Geothermal Student Competition. This student competition challenges teams at universities across the country to conduct cutting-edge research in geology, geoscience, chemical and bio-molecular energy, and engineering that could lead to breakthroughs in geothermal energy development. The students from the three universities will present their projects at the 36th Geothermal Resources Council (GRC) Annual Meeting in Reno, Nevada from September 30-October 3. Oral presentations will be made as part of the extensive Technical Session program and project posters will be on view in the Poster Session. The GRC congratulates the students on their achievements and look forward to hosting them at the world's largest annual gathering of the geothermal community next week. Over the past several years, Mustang has been engaged in the business of advancing its geothermal assets in the State of Nevada and Country of Peru. The company actively pursued conventional and alternative capital financing to fund the development of its properties, but has been unsuccessful due to changing conditions within the industry and other factors beyond the control of the company. In early 2012, management determined that the company's prospects for financing it's geothermal assets were not likely to improve in the foreseeable future and, as a result, began investigations into other business opportunities that fell within the purview of its business profile and classification. The company will now focus on gold exploration through acquisition of North Homestake Mining Company. Newberry EGS, a joint venture of Davenport Newberry and AltaRock Energy, announced Wednesday that the Newberry Enhanced Geothermal Systems Demonstration has obtained a "sundry notice" approval from the Bureau of Land Management. The notice allows the stimulation process to create geothermal reservoirs to begin, which is part of Phase II of the Newberry EGS Demonstration. The stimulation is scheduled to begin in October. AltaRock staff will be available at two local public meetings to explain the project and answer questions. On September 26 at 6:00 PM a meeting will be held at the SHARC recreation Center in Sunriver, and on October 6 and 7, AltaRock will have a booth at the Bend Fall Festival. A detailed evacuation protocol in case of a geothermal-related emergency was introduced to the residents of Leilani Estates on Saturday. Mayor Billy Kenoi and key fire, police and civil defense officials revealed the set of procedures during the association’s general meeting. These pamphlets were handed out at the meeting, showing this color-coded advisory scale, and other information. Battalion Chief Gerald Kosaki explained that there are two basic types of emergencies that could arise at the Puna Geothermal Plant, located within a mile of a large portion of the Leilani Estates subdivision. The first is a chemical spill. The second type is of greater concern to surrounding neighborhoods… a steam release containing Hydrogen Sulfide. English West country politicians have founded a Parliamentary group to champion "hot rocks" energy technology that is set to boom in the region after ministers signed a key accord with Iceland. Sarah Newton, Tory MP for Truro and Falmouth, and Cornish Liberal Democrat peer Lord Robin Teverson have formed the All-Party Parliamentary Group for Deep Geothermal Energy, which has just held its inaugural meeting. The group was formed after ministers this year struck a deal with counterparts in Iceland, which has been leading the world in harnessing power from the ground for decades. The two countries will share technical advice, drawing on Iceland's experience in capturing the power of their geysers. Mrs Newton said: "Wind, solar, marine and other technologies already have powerful lobbies within Parliament and I feel that deep geothermal needs to have its case made and its voice heard in order for the UK to have a healthy and diverse mix of energy supply." Mr Barker told the meeting: "Let's get to the heart of the matter right from the start – does the UK Government still care about deep geothermal as a clean energy technology? Yes we do. Iceland's Reykjavík Geothermal is close to reach a deal with the state owned utility company, Ethiopian Electric Power Corporation (EEPCo) for a Power Purchasing Agreement (PPA). Reykjavík Geothermal has made an important stride in developing the Corbetti Geothermal Power Project in Southern Ethiopia. The Company has already invested over USD 4 million for geothermal exploration licenses, geological feasibility surveys, environmental and Social Impact Assessment and Environmental Management Plan. 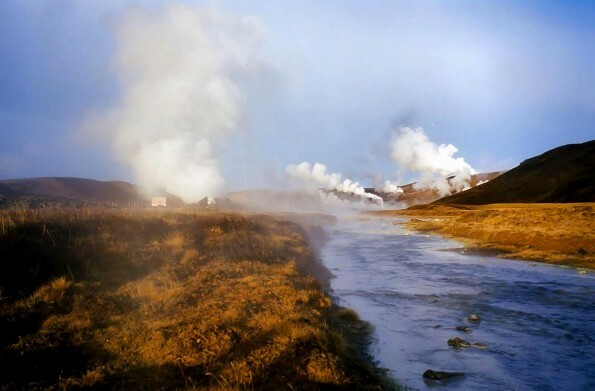 Reykjavík acquired geothermal exploration licenses covering an area of more than 650sqm. An area of 200sqm, in which temperatures reaching up to 350°C have been identified. The Corbetti Geothermal Power Project will be able to produce 300 MWe. Aluto Langano is the only geothermal power plant in Ethiopia generating about 7.3 MWe at the time of its installation in the 1990's. Development of additional geothermal project is planned with generating capacity of 35 to 75 MWe of energy at a similar field in Langano. Researchers at the University of Adelaide will use a $1.25 million grant to investigate how geothermal wells can more reliably produce power. The two-year project will be led by the South Australian Centre for Geothermal Energy Research in collaboration with the CSIRO and geothermal companies Panax Geothermal Ltd and Geodynamics Ltd. The project's chief investigator, Martin Hand, said the research would have significant implications for the potential of geothermal power in Australia and the development of an energy industry producing near zero emissions. Of the renewable energy options available to the Philippines, geothermal energy ranks as the most familiar, established, and supported means of power generation. With a capacity of around 1,904 MWe, we currently rank second in the world in terms of geothermal electricity production, behind the United States, according to the U.S. GEA. Moreover, we are one of a few countries that generate more than 15 percent of their electrical output from geothermal sources―in our case, around 17 percent. Our government has plans to install enough capacity to overtake America’s current capacity. Geothermal helped offset a drop in hydropower generation in New Zealand in the latest dry period, the Energy Quarterly report showed on Friday. According to the latest report by the Ministry of Business, Innovation and Employment (MBIE), hydropower generation in the three months to June fell to the lowest level since the second quarter of 2008. However, thanks to geothermal facilities commissioned over the past two years the use of gas- and coal-fired power generation to compensate for the low hydropower output in the period was 17% lower than in the same quarter in 2008. MBIE's Energy Information and Modelling team manager Bryan Field said that geothermal and wind power covered 18% of the country's electricity needs in the period, compared with 10% during the dry period four years earlier. The Geothermal Handbook (PDF) is a comprehensive guide to planning and financing geothermal projects. 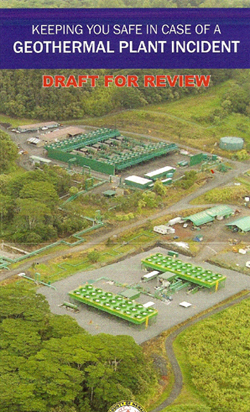 Based on lessons learned from multiple investment successes and failures, the handbook presents a step-by-step understanding of the phases of geothermal project development, looking at the risks involved and at the policies, institutions and financing mechanisms needed to successfully bring projects to fruition. The report stresses the importance of concerted international assistance to help finance geothermal scale-up in the early, risky phases of development, in order to mitigate risk and make projects attractive to private investment. The primary authors of the handbook are Magnus Gehringer, Senior Energy Specialist, ESMAP, and Victor Loksha, Senior Energy Economist, ESMAP. Magnus Gehringer will make a presentation of the handbook as part of the 36th GRC Annual Meeting Opening Session on Monday, October 1 at the Peppermill Resort Spa in Reno, Nevada. The potential of geothermal energy is tremendous; it could provide essentially if not all but a large part of the energy needed today. … at least this is what we as an industry always promote. The question isn’t if this is true, it is, but how realistic we can sell this in today’s business environment but also in the light of competition from other energy sources. Today the main activities in geothermal development can be found in regions where there is 1. a growing demand for energy, 2. there is some awareness of the need for environmentally friendly energy, and 3. geothermal is competitive with other types of energy (renewable or not). The Pacific Centre for Geothermal Education & Research team at the University of British Columbia in Vancouver, BC, Canada, is pleased to announce the opening of the 1st Student Essay Competition on Geothermal Energy. The aim of the competition is to engage college and university students from around the world to help identify the immediate steps which need to be taken in order to promote the development of geothermal energy in Canada. The Gujarat state government is planning to explore the feasibility of geothermal energy "We are meeting a delegation from Norwegian government to make a beginning of this untapped resource of energy next week," said T. Harinarayana, director, Gujarat Energy Research and Management. Officials said that there is a potential to generate electricity through geothermal resources, which are available in plenty in the geothermal zone located in Cambay between Narmada and Tapi river. If the pilot project is successful, the state may plan generation of 10,000 MWe in a decade. Workers, at the request of the photographer, walk among test generators at an experimental geothermal facility operated by the German Research Center for Geosciences at the Helmholtz Center in Postdam on September 12, 2012 near Schorfheide, Germany. The turbines, rated at about one megawatt each, will use heat in water pumped from deep underground and transferred via an organic rankine cycle. The project is funded by the German Ministry of Environment and researchers are seeking efficient ways to both create electricity and heat homes with geothermal energy. More than 1,000 members of the Maasai community in Olkaria, Naivasha, yesterday paralysed operations at a private geothermal company demanding job and business opportunities. They blocked all the roads to the Orpower Geothermal Company plant at Olkaria III, accusing senior managers of discriminating against members of the community. Anti-riot police officers were sent to handle the situation as the protesters also blamed Civicon Construction Company, which has been given a tender by Orpower, for their alleged woes. Maenga Kisotu, their leader, said they had agreed with the company that 70 per cent of job opportunities would be given to the members of the community. The Imperial County Planning Commission voted in support of Hudson Ranch II geothermal plant on Wednesday. If approved by the Board of Supervisors, the plant will be located about 3 1/2 miles west-southwest of Niland. The commission also approved Simbol Materials' Calipatria Plant II, a project that would operate adjacent to the Hudson Ranch II to extract resources such as lithium, manganese and zinc from brine pulled by Hudson Ranch II. These materials are needed for cars, laptop and cell phone batteries, to name a few. Simbol Calipatria II will make Imperial Valley the third largest producer of lithium in the world, said Paul Gutwald, Simbol Materials vice president of marketing, “ahead of China, Argentina and even Bolivia.” Moreover, the project will create about 90 jobs, he said adding his company is also investing in paving roads and signalization. Basic Energy Corp. of Makati City in the Philippines, said on Thursday it recently received the country's Department of Energy’s (DOE) approval of its applications for geothermal renewable energy service contracts for three frontier areas, namely in East Mankayan in Benguet, Mariveles in Bataan, and Iriga in Camarines Sur. In a disclosure to the Philippine Stock Exchange (PSE), Basic said it has passed the legal, technical and financial requirements prescribed by the DOE for these areas. The projects are in line with the 2012 business thrust to look into new projects in renewable energy development and production. Basic added that it seeks to expand its lineup of projects for the exploration and development of geothermal energy resources, hydropower and biomass energy for power generation. Barbados-based Atom Solutions has been contracted by the government of Montserrat to conduct an environmental and social impact assessment of the island’s impending geothermal exploration. The hiring was confirmed by Ron Beardsley, director of public works in the Ministry of Communications & Works. Once the assessment is completed, Montserrat will then appoint a drilling contractor to drill two exploratory production wells. Drilling tenders were opened Aug. 31. In this second article in a two-part series, Kenyan environmental scientist Pacifica Ogola, a UNU Geothermal Training Programme PhD fellow, discusses the role of geothermal energy in her home country. The Alaska Department of Natural Resources Division of Geological & Geophysical Surveys recently released a 144-page report detailing the geothermal and fossil fuel resources available to Alaska communities. Southeast Alaska has the second highest geothermal prospectivity in the state. Bell Island has thermal springs currently used to heat the main lodge and several cabins at the Bell Island fishing resort. Bailey Bay hot springs, 50 miles north of Ketchikan, has the highest measured surface discharge temperature in the Southeast, according to the report. The site has an estimated reservoir temperature of 302F. Tenakee Inlet thermal spring, located north of Tenakee Village on Chichagof Island, has a measured surface temperature of 176F. “The Survey report evaluates natural gas, coal and geothermal resources throughout Alaska that may exist in sufficient quantities to provide local energy, using existing technology,” according to a DGGS report summary.